GET THE “FACTS”, WIN A CAP! A BANNER YEAR FOR BRIGHT STRIPESTM! Trueflight’s new (and really bright!) Bright StripesTM patterns are selling well, and the trend is still on the increase. We’re very happy to see these eye catching, and really different patterns on more and more arrows. They are “attention getters” and make for some beautiful combinations on some very high class arrows. Bright StripesTM are now available in a total of 6 different color combinations. Fletched together with our 12 standard Trueflight BarredTM patterns, plus our 14 solid colors, the possibilities are almost unlimited. The costs of both raw feathers (feathers clipped from the birds) and energy are both significant parts of our overall cost of production. For the last several years these costs have been changing unpredictably, and often for the worst. Since the turkey farmers are paid for the meat on the birds, they could care less about the feathers on the birds. Birds on “fast growth diets” and other “high efficiency” feeding plans put on weight fast, but don’t develop useable feathers. Birds raised indoors put on meat, but have poorly developed, useless feathers. Because of this, most of the feathers on turkeys today are completely unsuitable for use as archery fletching. We have to search the country to find good feathers, and pay premium prices when we find them. Even then, on a “good” load, we typically wind up rejecting more than 50% of the feathers! This is very costly. But to keep up the quality of the finished product, this is the price we must pay. But it could get even worse: An outbreak of Bird Flu anywhere in the world could really upset the feather market. No, Bird Flu can’t be transmitted in our archery feathers. Our processing would kill any virus on them. And, no, we wouldn’t expect the Bird Flu to wipe out the US turkey flocks. Our USDA is keeping a very close watch on both US turkey farms and every US processing plant. Any outbreak is likely to be spotted very early and well contained affecting only a small number of turkeys. The problem is, once the news media get the story, there is every likelihood that US consumers will cut way back on their poultry purchases. Turkey prices will drop, and growers will decide they can no longer afford to feed their birds. Turkeys will be sent to processing plants well before their feathers have had a chance to develop. The resulting shortage of good turkey pointer feathers for archery fletching will raise prices... perhaps to unprecedented levels. Something similar happened back during the 1973 oil crisis. When oil prices skyrocketed, the cost of fertilizer went up. The rise in fertilizer cost drove the price of crops such as corn higher. Corn and other “feed crops” are used to feed turkeys. When the price of feed for turkeys went up... turkey farmers decided they had to get rid of their turkeys by sending them to market early... before the feathers were of useable size for archery. That’s right, the archery feather market is effected by oil prices! A disruption in the oil market could again affect us – big time. If all this isn’t enough uncertainty, it has been reported that PETA (the anti-hunting / anti-medical research / anti-meat / anti-most everything folks), are working to stop the clipping of turkey feathers at processing plants on humanitarian grounds! Never mind that there are no nerves in the clipped feathers and the discomfort to the turkey is about the same as to a person getting a haircut or nail clipping. Just how far this new disruption is going to go is uncertain. But it sure is one more thing we don’t need which could reduce the number of available raw feathers and seriously raise the cost (again) of the good feathers. In the past, we have always been able to hold our prices constant for a full calendar year. We sure hope to be able to do that again for 2008. But given the uncertainties hanging over our raw material and energy costs, we must warn all our customers that price changes are a very real possibility in the next year. If we receive an order and our prices have increased from our list price, rest assured that we will contact the buyer and provide the new prices for their approval before shipping the order. Please call us anytime for an update on pricing, availability, and the outlook for our raw material as the year progresses. Just about everyone in archery agrees that feathers are more “forgiving” in setting up a bow, and during the path of the arrow before it’s cleared the bow during an actual shot. Feathers have repeatedly shown that they can touch a bow part, (cable, rest, etc), fold down, then pop back up and look like new just a foot or so down range with no big bounce like plastic. This makes for very easy bow tuning, and allows for excellent, straight flight even with a slight mis-alignment due to an awkward shooting position or bad release. Experienced hunters know that this “fold down” and “pop back up” forgiveness also matters as the arrow flies down range. 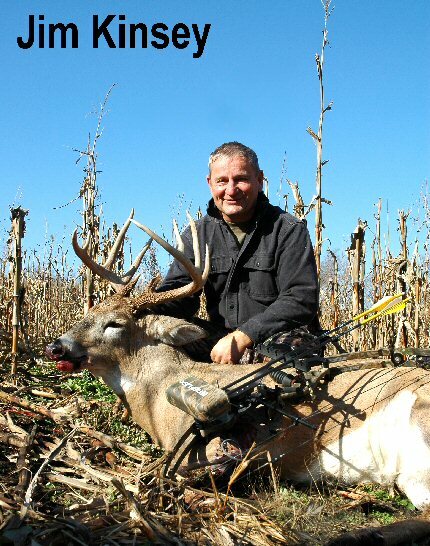 In field conditions, actual hunting shots seldom occur exactly the way even the most careful hunter has planned. Small branches, leaves, grass, and other obstructions can easily disrupt even a well aimed arrow’s path. In the pressure to make the best of an available shooting opportunity such “minor” obstructions are easily overlooked. Feathers provide an added margin of tolerance for these obstacles. Our high speed photos clearly show that even a severe collision with a heavy branch causes a feather to temporarily fold down, then almost instantly (with in a foot or so), pop back up and re-form back into a perfect shape. Very good to know and one less thing to worry about. Target archers too, have learned the importance of “feather forgiveness” downrange. 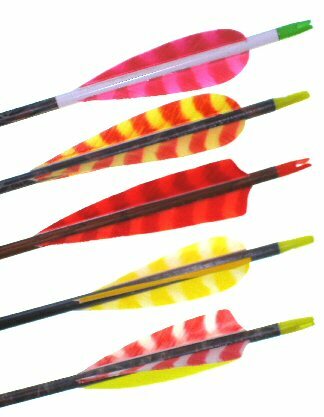 Many top target shooters use feathers in part because arrows hitting a target in very close proximity to each other can be deflected (to a lower score) by plastic fletching on any arrows already in the target. In this situation, feathers simply spread apart to make room for the “close” arrow. Most often the feathers aren’t even damaged and can be “smoothed” back together as good as new. Our “Feather Facts” brochure is a detailed 4 page discussion of the advantages of feathers compared to plastic vanes. It’s loaded with facts, figures, and actual test results showing just how well feathers preform. 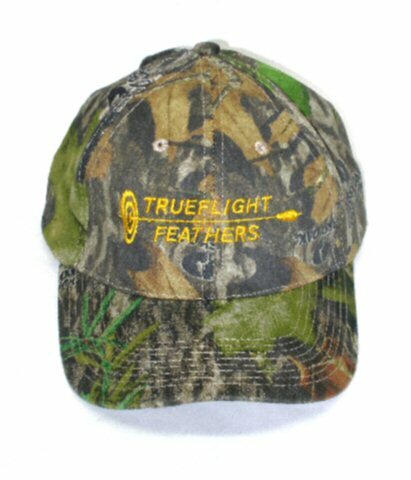 In order to encourage distribution of the “Feather Facts”, all who request a copy will be automatically entered in a monthly drawing for a free official “Trueflight Feathers” camo cap. These “Trueflight Feathers” caps are high quality, made in the USA, genuine “Mossy Oak Obsession” pattern hunting caps. They’re a perfect for every well dressed (and well camouflaged!) bowhunter. To enter the monthly drawing, just send us a request for a “Feather Facts” brochure via email (email@trueflightfeathers.com), telephone (1-715-543-8451), or regular mail (P.O. Box 1000, Manitowish Waters, WI 54545 USA). In addition to the “Feather Facts” brochure, we’ll send full color feather selection charts, high speed photos of feathers in action, and a free “Trueflight Feathers” sticker. Dealers: If you’d like extra copies of “Feather Facts”, just let us know. We’ll send extra copies at no charge. Greetings to all of our archery friends from the folks who process your feather needs here in the tundra of Northern Wisconsin. During the course of my work day, I have the pleasure to look at a lot of die cut feathers. While inspecting them, I sometimes have to wonder if any of these feather fletchings will help to take down the next world record animal. Perhaps a first P & Y trophy for some lucky bow hunter. Maybe they’ll even put a tournament shooter on the podium stand. They might even help them make the team. Good thoughts like these can easily become a reality when someone buys arrows fletched with Trueflight feathers. However, my favorite thought and hope is that our feathers will help some new comer, young or old, to their first harvest, whatever that might be. 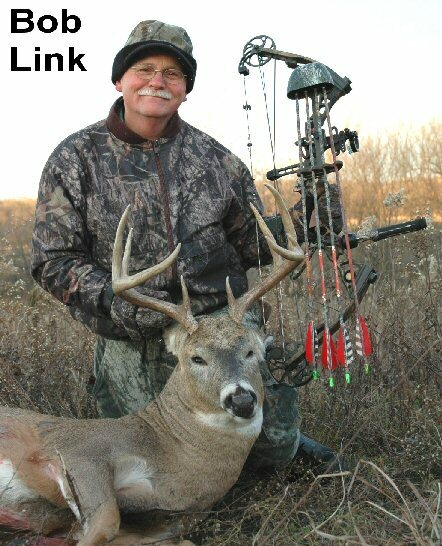 Lately, it seems that everyone is racing to come out with smaller cuts to guide hunting arrows. If you’re inclined to go in that direction, we do have these types of small cuts. We have a 2", 2 1/4", 2 ½" & a higher 2 ½" profile and a host of other sizes that will perform better than any of those that are advertised. Simply give us a call and we will be happy to send you some samples and quote you a price. We still highly recommend, for the best flying hunting arrows, three 4" or 5" helical fletched feathers especially for the high speed bows using carbon arrows. It’s the best set up for those bow hunters who demand the best control for their broadhead tipped arrows and “Peace of mind” in any weather condition. I’m pleased to announce that we can save you some money on your U.P.S. shipping charges with our newly designed 5M carton. U.P.S. shipping has changed their billing methods again. They are now using a “dimensional system” which calculates the cost by the size of the carton. Length x Width x Height determines the cubic size of the carton. This brought the shipping cost of the 10M carton to 51 lbs. which was previously an over size-one fee of 30 lbs. If it’s over the size of 5,184 cubic inches, we have to use the dimensional weight calculations. Our new 5M carton is under the 5,184 cubic inches allowed and is charged for the actual weight only. Example: A 10M carton shipped to zone 5 would cost $19.75 as compared to two 5M cartons weighing 10# each, at $6.58 each or $13.16 for the two. A savings of $5.59! It’s going to mean more cartons to handle, but the savings will be well worth it, not to mention the new 5M carton is much easier to unload. Every year I have been very fortunate to mount some of the finest trophy animals in North America. However, occasionally I have to reject someone’s trophy animal because of the lack of proper care in the field. Hair slippage is the worst nightmare of taxidermists. It doesn’t take very long for bacteria to develop when the temperatures are above freezing. My suggestion to all of you who harvest an animal that you intend to have mounted, is to get the cape off the animal as soon as possible – especially if the weather gets warm. If you don’t know how to cape out or measure the head, it’s a good thing to learn... almost a must in many remote areas. It’s also a good thing to know if there is a meat locker in your hunting area that will accept wild animals for processing. We hope to see you at the 2008 ATA Trade Show in Indianapolis. Our booth number is 2443. Please stop in. On behalf of all of our employees, we sincerely thank you for all of your 2007 purchases. We also look forward to serving you in 2008. THE “BIT MONSTER” IS EATING FAXES AND EMAILS! Or... at least they’re disappearing somewhere! As we’ve mentioned in the past, Faxes and Emails seem vanish en route about 5 or 10 % of the time. It appears to have gotten worse in the last year. Because of this, we always acknowledge faxes and emails within 2 or 3 business days. If you’ve sent us a fax or email and haven’t heard back from us after a few days, please re-send the message or contact us by another means to make sure we receive your message. Modern adhesives have made arrow fletching quick and reliable. Adhesive “grip” to the base of “Trueflight Feathers” has never been a problem. Our feather bases are ground clean and dry in our processing and need no further treatment prior to fletching. However... we are still hearing of occasional problems in getting adhesives to cling well to some arrow shafts. 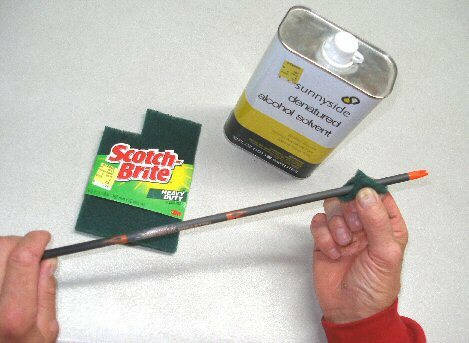 By using a simple procedure on all types of shafts, we have always had good results with all types of fletching glues. Whether the shaft is carbon, aluminum, or wood, we: 1) Wipe down the shaft with alcohol on a clean paper towel, 2) Slightly “dull” the fletching area of the shaft with a “Scotch Bright” scrubbing pad, fine steel wool, or 500 grit sandpaper, 3) Do a final alcohol wipe of the fletching area of the shaft a few minutes before glueing. It is not necessary to remove the finish on the shaft in step 2. The idea is to lightly roughen the surface, which should only reduce the “shine” of the shaft finish very slightly. This can hardly be noticed once the arrow is fletched. We also avoid touching the fletching area after the final alcohol wipe, before glueing. SOME REAL HAPPY HUNTERS IN IOWA! Last fall, Bob Link (our V.P. 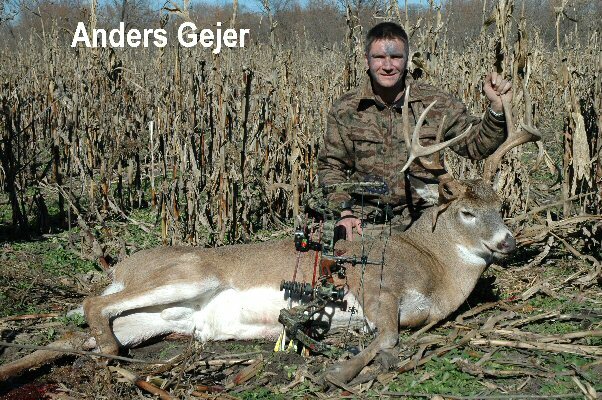 and General Manager), Jim Kinsey (from Kinsey’s Archery), Bob Jacobson (from Jake’s Archery) and Anders Gejer (all the way from Sweden) spent a week hunting whitetails in Iowa. And what a week it was! Before the week was over, Bob and friends had tagged no less than 3 Pope & Young class trophies! All three were excellent examples of those super healthy, well fed Iowa bucks, easily in the 200 lb. dressed weight range. Bob reports that the venison was really great tasting, too. Bob, I know isn’t a “full time” hunter. He only hunts on vacation or on weekends. But he and his group sure were doing things right. Each deer was taken with a single perfect heart/lung shot. Each traveled only a short distance after being hit. They’re making it look too easy!